Marriage was ordained by God in the Garden of Eden with Adam and Eve. When God brought Eve to Adam she came to him as his wife, not his girlfriend, fiancee or friend with benefits, but his wife. 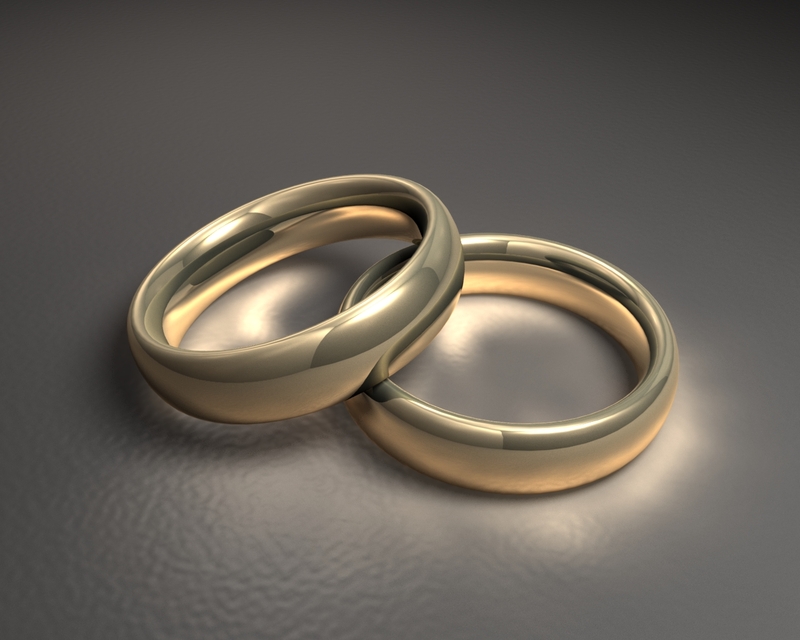 God looks upon marriage as sacred because it was ordained by Him, and everything God created was good. It was the man who distorted what God created to be a pleasure for the husband and wife. Eve was created for Adam, and she was to be his helpmeet, indicating she was to be his aid, his assistance, his lover, and friend. When God created Eve, He didn’t bring Sue and Rhonda, or Jim and Bob to the marriage. It was one man and one woman, and it was ordained by God. Couples should honor and respect their marriage vows. Society is changing spouses as though they were changing garments. When a couple takes a marriage vow, it should be until one of the spouses die. As Christians, we’re to abide by the law of God which is His word (The wife is bound by the law as long as her husband liveth; but if her husband be dead, she is at liberty to be married to whom she will; only in the Lord – Romans 7:39) . This scripture is for both the wife and the husband because marriage is a spiritual contract between the two. A contract or written agreement should not be broken unless one of the parties does not hold-up their agreements such as abuse, and adultery, even if this occurs, God can still mend what has been broken. He can destroy what has been in the marriage that shouldn’t have been, and restore the years that the cankerworm and locust stole and took if we place our trust in Him and allow Him to heal or annul the marriage. Marriage is not honored the way God created it to be. That is why you have people living in Common Law and think because man agrees to it, that it’s ok with God. God never changes. He has given instructions if we desire to act as though we’re married, then we should marry; this will keep us from sinning against God and our bodies. If you die while living in a Common Law marriage, you are hell bound. Satan has fooled so many married couples to think that it’s better to be with someone other than their spouse. Marriage will be what you allow it to be and what you create it to be. Marriage cannot be contained by one person, it took two to get married, and it’s going to take two to keep it. In the Christian community, we should not allow divorce to be an option, because we know who ordained marriage and we know who comes to destroy, steal and kill the gift God has given. Marriage is a gift from God, and we should respect, honor and be appreciative of what God has given us. No matter how long you have been married, the joy of marriage should be greater than what it was in the beginning, the older it gets, the better it should be. When you walked down the aisle, God knew what was coming in the marriage before you said “I do”; and He will prepare you to conquer whatever comes in your marriage. A marriage stops when we stop being concerned about one another’s feelings. Marriage is not about you; it’s about how you can make your spouse happy. When you have two people denying themselves focusing on what makes their spouse happy, you will have a successful marriage. God has given us an instruction manual, and when we read the manual and follow it’s instructions, God’s blessings will be upon the marriage. Marriage should exemplify the marriage we have as Christians with Christ; it should be inseparable. We should not allow anything or anyone to separate our love for our spouse. Marriage is about love; it shouldn’t be based on what you see on the outside or how your spouse makes you feel physical because if you stay married long enough, you’re going to grow old and in your old age both you and your spouse will change. If you’re basing your relationship on the physical intimacy as you grow older things change and your not going to be able to perform as you did in your younger years. So you should be in love, not lusting. God has given instructions for marriage, and when we disobey the Word of God, we suffer the consequences. We should follow the instructions God has given us whether or not our spouse is or is not. When you obey the Word of God, God will fight for you if you place your trust in Him and don’t place your trust in what you’re seeing and hearing in your marriage. Husbands are to love their wives as Christ loved the church and gave Himself for it. God created the man to be head of the family; it’s his responsibility to provide and to protect his wife. Husbands and wives should not allow friends, family or parents to meddle in their marriage. If there’s a problem in the marriage, they should go to their pastor and a reliable Christian counselor. God knows your spouse better than you ever will, acknowledge God and let Him direct you how to minister to your spouse. Marriage is a ministry and spouses need to learn how to serve one another. To keep Satan out of your heart and marriage, you have to keep it cleansed with the washing of the Word and prayer. There is no way you’re truly connected to God, and your heart is desiring someone other than your spouse. Disconnection starts in the heart, and as it enters into the heart, the mind begins to dwell on what’s in the heart and before you know it, you caring out the actions that started in the heart (For out of the heart proceed evil thoughts, murders, adulteries, fornications, thefts, false witness, blasphemies – Matthew 15:19). When you and your spouse is walking in agreement and have Jesus as your Savior as well as your Lord, Satan cannot come and take you or your spouse unless you allow sin to enter in. Too many are praying, but not being watchful, God has instructed us to watch as well as pray. Satan looks for a loophole where he can enter. Spouses are to protect each other, and they can only do that when they have a relationship with God, wait, and listen and follow His instructions. God knows where the enemy is before he attacks, and if we’re on our prayer watch, God will show us the enemy, his tricks, and schemes, his methods of destroying you and your marriage before the attack. Your marriage should be the same commitment you made to Jesus to follow Him the rest of your life. Satan uses our senses to detour our obligation to our Savior as well as our marriage. Satan will use a television program to make fornication and adultery seem delightful, and it’s the right thing to do. Cheating on your spouse if he or she is not meeting your needs is the easy way out to destruct marriage. Talk with your spouse and inform them of what your needs are rather than you have them try to guess what you need. Your spouse is not a magician neither are they a mind-reader. God holds us responsible for how we treat our spouse (Ye say, Wherefore? Because the Lord hath been witness between thee and the wife of thy youth, against whom thou hast dealt treacherously: yet is she thy companion, and the wife of thy covenant. And did not he make one? Yet had he the residue of the spirit. And wherefore one? That he might seek a godly seed. Therefore take heed to your spirit, and let none deal treacherously against the wife of his youth – Malachi 2:14-15). This scripture is not just for men, but women must abide by this scripture as well because remember, you are no longer two, but one. What goes for the husband goes for the wife and vice-versa. Secondly, this scripture wasn’t just for the children of Israel it also for the spiritual Jews those whose heart has been circumcised by the Spirit of the Living God. Be ye angry, and sin not: let not the sun go down upon your wrath – Ephesians 4:26 There will be times you will have a disagreement with your spouse, but don’t carry it to bed with you, try to resolve the problem prior to going to bed for who knows, that might be the time God calls you home, and you have all this anger bottle up in your heart. Or perhaps your spouse may die while asleep, and you didn’t take the time to forgive one another and show the love that’s really in your heart before going to sleep, that would be something to hurt you the rest of your life and Satan will remind you of it. Know that Satan does not want your marriage to be successful. A successful marriage goes further than the home. When you have two people walking together in agreement, it will be a blessing to your neighborhood, schools, and churches because they’re in unity and love. Dysfunctional marriages produce dysfunctional families. Dysfunctional families produce dysfunctional communities, society, and churches. Marriage is more than two people joining, but it’s to reproduce a society with morals, ethics, unity, agreement, goals and to teach others how to reverence God. If you have two people that love and honor God, it will go further than the home; it will reach the community. If you reverence and love God, you will love His people. If the greatest love is living within you, you will produce love in your surroundings, and love will conquer evil and wickedness. Before you say “I do,” take the time to count the cost, before you go to divorce court, remember what you vowed before God and your spouse. Matthew 19:6 – Wherefore they are no more twain (two), but one flesh. What therefore God hath joined, let not man put asunder.